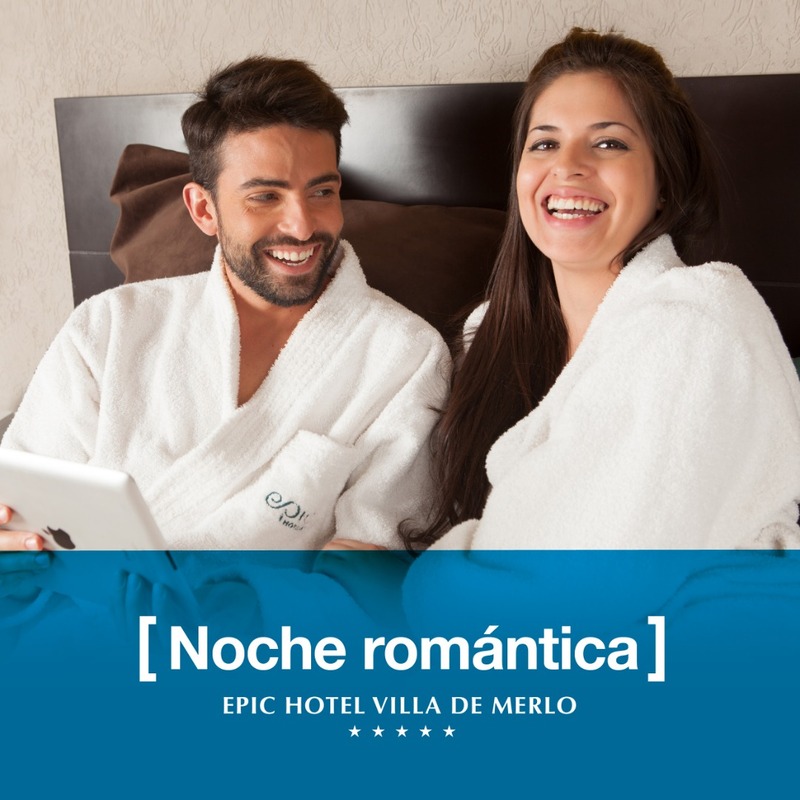 There is always a nice place to fall in love, I came to discover it at Epic Hotel Villa de Merlo. Accommodation in a double standard category room. Spa water circuit with sauna, steam bath, Scottish shower, contrast cubicle shower, bithermal shower, all divided by gender, and hydromassage with ozone therapy. IN heated pool with swan neck, counter current system, armchair with hydrojets and waterfall. American Buffet breakfast Premium category. Business center with PCs and screen 55. Late check-out 17 hs (Subject to availability). 3-course dinner, accompanied by a bottle of wine. Total cost per night in double base $ 7050 taxes included (for 2 people).